Event planner, Astute business woman, Diva and Waffi girl all rolled up into one ball of exciting feminity- The CEO of Rubies N Emerald Concepts & Events Management (RnE), a graduate of the University of Sheffield definitely knows how to co-ordinate! Her brainchild was conceived in December 2011 and since then this baby has been giving some of the old timers a good run for their money with her fresh, new concepts and flair for making your fantasies a reality. Rubies N Emerald Concepts & Events Management specializes mainly in complete planning of all events- weddings, corporate events, social events and burials. Taking complete charge of your pre-planning activities, on site management and coordination of events as well as post-planning needs (It ain’t over until it’s over). 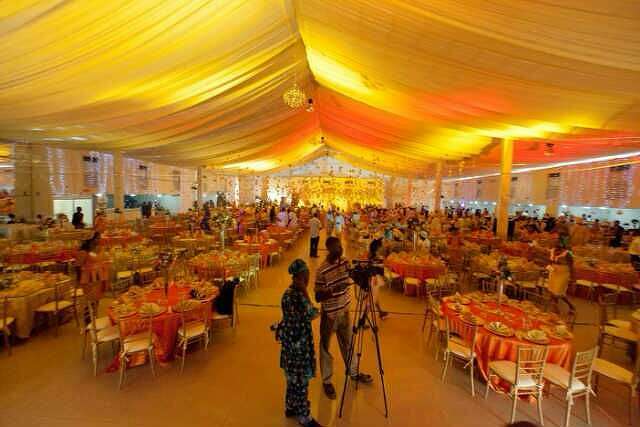 RnE is also happy to partake and partner with various companies to visualise and grow ideas to make memorable events. Visit http://www.rubiesnemerald.com or call 08136884717. Curious about the brains behind the business? Visit 12B, Norman Williams street, Ikoyi for a free consultation.